The US Supreme Court has good news for people that are tired of paying high prices for printer cartridges – the fine print of the “license agreement” in the boxes that prohibits you from refilling the cartridges is no longer effective. In Impression Products Inc. v. Lexmark International, Inc., U.S., No. 15-1189, 5/30/2017, the Court decided that when a patentee decides to sell—whether on its own or through a licensee—that sale exhausts its patent rights, regardless of any post-sale restrictions the patentee purports to impose, either directly or through a license, Chief Justice Roberts wrote for a unanimous Court. As for international exhaustion, he observed that “nothing in the text or history of the Patent Act shows that Congress intended to confine that borderless common law principle to domestic sales.” Justice Ginsburg concurred in the general exhaustion decision as to domestic sales, but dissented as to international exhaustion. Lexmark makes and sells patented ink cartridges for its printers. It sell cartridges under one plan that permits buyers to use them as they wish, and under a “Return Program” plan that provides a discounted price. The Return Program plan limits buyers to a single use of the cartridge and requires the cartridges to be returned to Lexmark for recycling. Lexmark filed infringement suits against many makers of after-market ink cartridges for Lexmark printers, most of which settled. 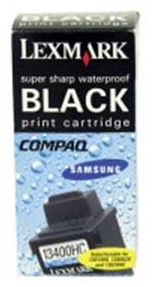 In the action against Impressions, the district court entered a stipulated judgment, holding that Lexmark’s patent rights in cartridges first sold in the United States were exhausted, but the rights were retained for cartridges first sold abroad. In a 10-2 en banc decision, the Federal Circuit held that, where the patentee’s sale is subject to a single-use/no-resale restriction that is lawful and clearly communicated, the sale does not confer resale or reuse authority to a buyer or downstream buyers. It also held that the patentee’s sale or authorization to sell a U.S. patented article abroad does not authorize the buyer to import the article and sell and use it in the United States. The Federal Circuit decision was taken for review by the Supreme Court. The Supreme Court concluded that Lexmark exhausted its patent rights the moment it sold its patented cartridges in the United States under the Return Program. While they may be clear and enforceable under contract law, the single-use/no-resale restrictions in Lexmark’s contracts with customers do not entitle Lexmark to retain patent rights in an item that it has elected to sell, according to the Court. The United State Supreme Court held oral argument on whether the equitable defense of laches (an unreasonable delay in filing suit) may be raised against a claim for damages based on patent infringement occurring within the six-year limitations period of 35 U.S.C. 286. SCA Hygiene Products Aktiebolag (SCA) produces adult incontinence products, as does First Quality Baby Products, LLC (First Quality). In 2003, SCA notified First Quality that First Quality was infringing on one of its patents, and First Quality responded by arguing that, because the SCA patent in question was essentially the same as a prior-filed patent, it was invalid so First Quality did not infringe. The two companies ceased communication on the issue, but in 2004, SCA requested that the U.S. Patent and Trademark Office (PTO) reexamine its patent in light of the prior-filed one, and in 2007, the PTO determined that the patent in question was valid.